Our Face Painters create mini masterpieces on little ones’ cheeks, arms or hands! Children love the process of having their faces painted almost as much as the final reveal! 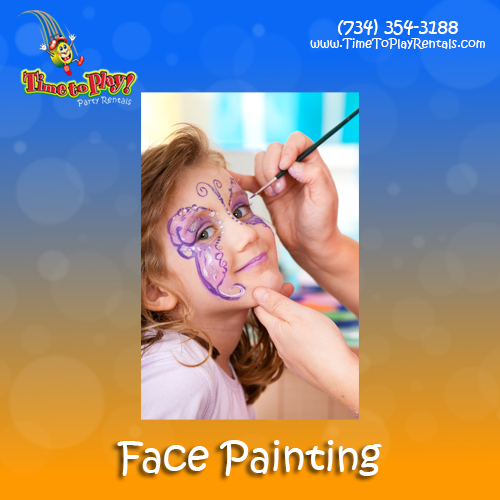 Our talented Face Painters are skilled at creating a variety of animals, objects and fun designs. Our painters can dress in colorful clothing or as Clowns.